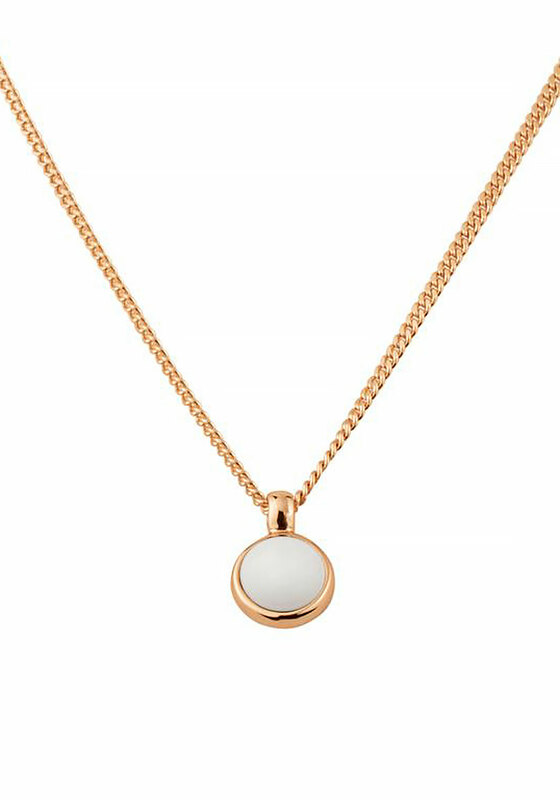 From Dyrberg Kern’s Lone collection, this simple yet elegant rose gold plated necklace features a semi-precious white stone and measures 45cm. A 5cm extension chain is also available with this piece. 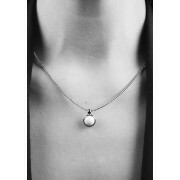 This necklace is anti-allergenic, lead- and nickel free.